The location was great and the staff were so friendly and helpful. Would definitely recommend to my friends and family. I would also return. Location was good, all staff helpful special thanks to Dory, pool small but not many used it always got a sunbed. We liked the location, the sun lounging area, the pool and the neat little short cut to the beach. The staff we extremely helpful and very kind and always smiling. No problems with them at all. They even left us a bottle of bubbly on our wedding anniversary which we thought was lovely and very kind. 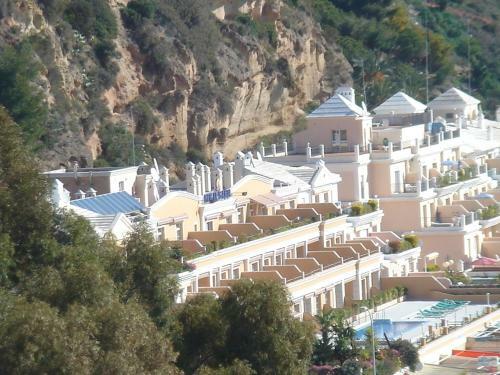 Lock in a great price for Apartamentos Nerja Bahia - rated 8.5 by recent guests. 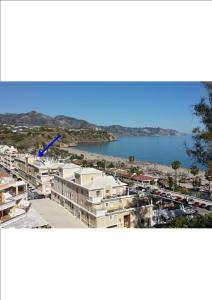 Apartmentos Nerja Bahia offer an ideal seafront location, 30 yards from Nerja’s Burriana Beach. The building has an outdoor swimming pool and sun terrace with loungers, parasols and wonderful sea views. 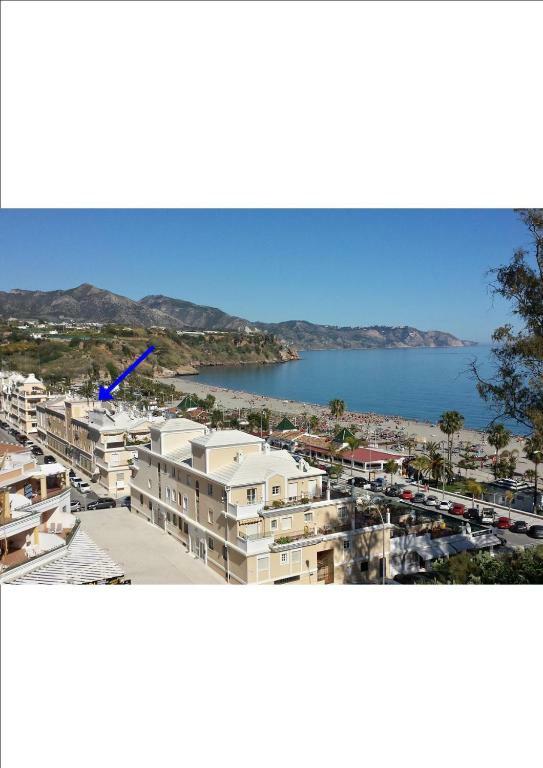 The apartments are 5 minutes' walk from typical white buildings of Nerja’s old town and within 15 minutes's walk of the Balcony of Europe Viewpoint. 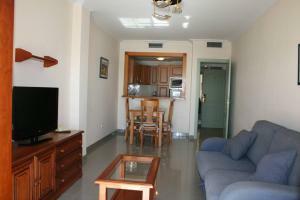 Each apartment is spacious and air conditioned. They all have a living area with satellite TV. The small kitchens have a microwave, toaster and kettle. 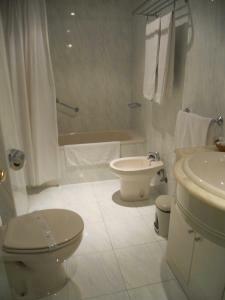 All apartments are cleaned and sheets and towels are changed every 4 days. The 24-hour reception can arrange airport transfers. Free Wi-Fi access is available in the apartments and public areas of the Nerja Bahia complex. It has also a lounge-library and a self-service laundry room..
Apartamentos Nerja Bahia has been welcoming Booking.com guests since 13 May 2010. 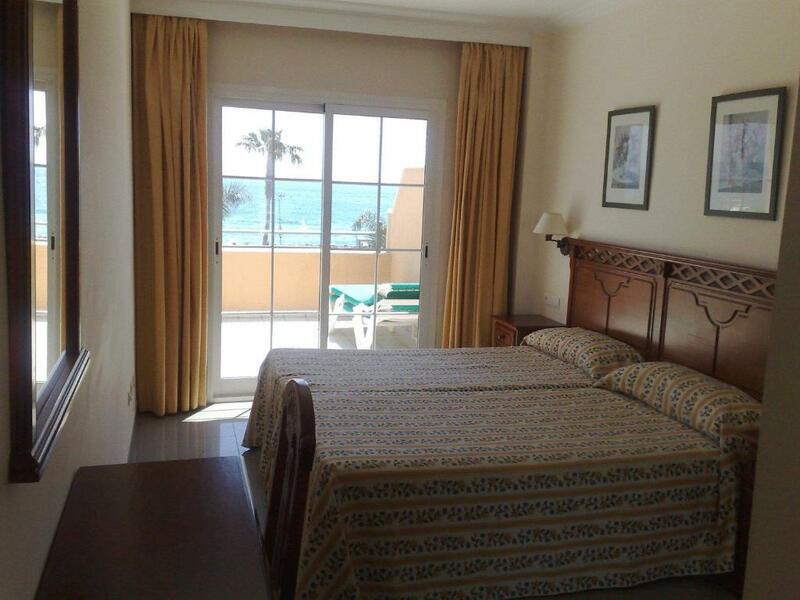 When would you like to stay at Apartamentos Nerja Bahia? This apartment has a bedroom with 1 double bed or 2 single beds. It also features a sofa bed and a terrace with views of the ocean. These air-conditioned studios feature 1 double or 2 single beds and are equipped with a flat-screen satellite TV. This studio is north-facing. This apartment has a private terrace with sea views. These north-facing apartments feature 1 twin bedroom, a living-dining area with a sofa bed and a kitchen equipped with kettle and toaster. The NERJA BAHIA TOURIST APARTMENTS are located in the south of Spain, in Nerja, in one of the most beautiful and charming areas of the “Costa del Sol”. They are set on the beachfront, only 10 minutes walk from the town centre. It is a perfect place to visit Málaga, Granada, Córdoba, Sevilla, Gibraltar... all within easy driving distance from Nerja. House rules Apartamentos Nerja Bahia takes special requests - add in the next step! Apartamentos Nerja Bahia accepts these cards and reserves the right to temporarily hold an amount prior to arrival. Apartments are cleaned every 4 days. This service includes a change of bed linen and towels. Extra bed linen and towels are provided at a surcharge if necessary. The use of the pool is exclusively for the guests of Apartamentos Nerja Bahia. The property will only admit the exact number of guests stated on the confirmation. Key collection is available 24 hours at the property's reception. Nothing to complain about ! Would stay again. Location to the beach and resort .Friendly helpful staff. Apartment spacious for a couple and equipped with essentials. We liked that the pool area though small was clean and quiet and there was never a scramble to get sun loungers. Staff fab. Friendly and knowledgeable. The location was fabulous. I upgraded to a room on the pool level which was fabulous for the kids. We found the beds to be very uncomfortable and I thought it would have been made up as a double not a twin.